How does this prepare my daughter for life beyond college? After graduation, your daughter has the opportunity to remain involved in the organization for years to come. With over 165,000 members worldwide and 106 alumnae chapters in 34 states, your daughter has the opportunity to connect with women wherever she goes in the coming years. Alumnae membership looks different for each of our members. Some are involved in an alumnae chapter who meets regularly for activities and service events while others are advisors for a local chapter. Our members are able to continue their personal and professional development with Sigma Kappa through social and philanthropic activities with other alumnae members. The possibilities are endless and her Sigma Kappa involvement can and will look different over time based on her life experiences at the time. What if my daughter would be a legacy of Sigma Kappa? If you believe your family member meets this legacy criteria, it is highly encouraged that you complete a recruitment introduction form for them. Are there risk management policies in place? Sigma Kappa volunteers are truly the heart of our organization. 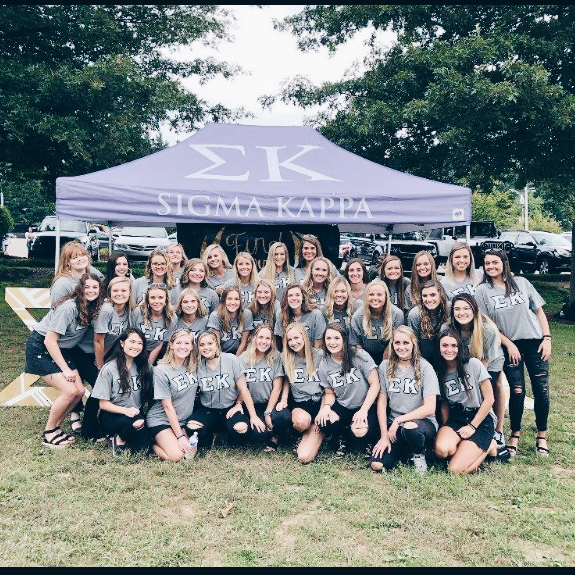 Our volunteer leader’s commitment to Sigma Kappa helps to ensure the longevity of the sorority and helps to create lifelong members of Sigma Kappa. In addition to our national headquarters staff, Sigma Kappa collegiate chapters are supported by our volunteers who serve as mentors and friends. Each collegiate chapter is also paired with an alumnae chapter or ‘sister chapter’ because we know that collegiate/alumnae relations is an important part of member development.